Horse racing’s nothing if not a family affair — what’s breeding if not the study of families functional and otherwise? — and that fact was on display Saturday at Laurel Park’s annual winter carnival, topped by the Grade 2 Barbara Fritchie Stakes and Grade 3 General George. 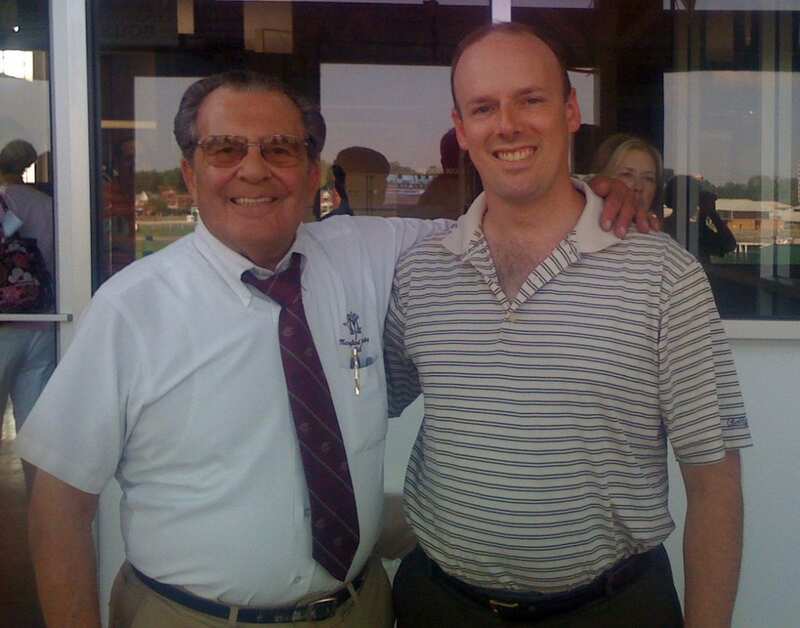 In the day’s first stake, the John B. Campbell, the Claudio Gonzalez-trained Afleet Willy cruised to a 2 1/2-length, front-running victory for the father-son team of dad Bruno and son Bobby La Banca, who race as BB Horses. The elder La Banca said he once owned a horse who finished ahead of Spectacular Bid, albeit before Spectacular Bid was, you know, Spectacular Bid. La Banca’s horse finished second in a division of the Tyro Stakes at Monmouth Park, while the Bid came in fourth. It was the only time Spectacular Bid ever finished out of the money. For all that, it’s doubtful La Banca has ever owned a horse who delivered the goods as consistently as Afleet Willy. Claimed for $25,000 out of his maiden win in December 2015, the five-year-old Wilburn gelding has since posted 11 wins in his last 21 starts — 12 for 27 overall — and today’s victory pushed his career earnings to nearly $500,000. Afleet Willy’s connections had been on the fence earlier in the week, considering both the nine-furlong Campbell and the seven-furlong General George. Eventually, they said, they left it up to Gonzalez to make the decision, and the result was Willy’s fourth stakes victory in his last five starts. Four races later, an uncle-nephew combo found the winner’s circle when Elvis Trujillo piloted Something Awesome to a late-on-the-scene neck victory in the Grade 3 General George for his uncle, trainer Jose Corrales. Trujillo’s mother, Marisa, is Corrales’ sister. Today, in a race in which two major contenders were forced to scratch by the case of equine herpesvirus at Belmont Park, Something Awesome bided his time in seventh early while the speedy Cowboy Mz tugged the field through a quarter-mile in 22.73 seconds and a half in 45.90. Four wide on the turn and floated even wider in the stretch, Something Awesome surged late to win by a neck over another late runner, the Kenny Decker-trained Fellowship. It’s the Journey loomed a threat but settled for third. Running time for the seven furlongs was 1:23.31 over a sloppy, sealed track. Something Awesome — surprisingly enough, the tepid favorite — returned $8.20 to win. The exacta was good for $49.00. 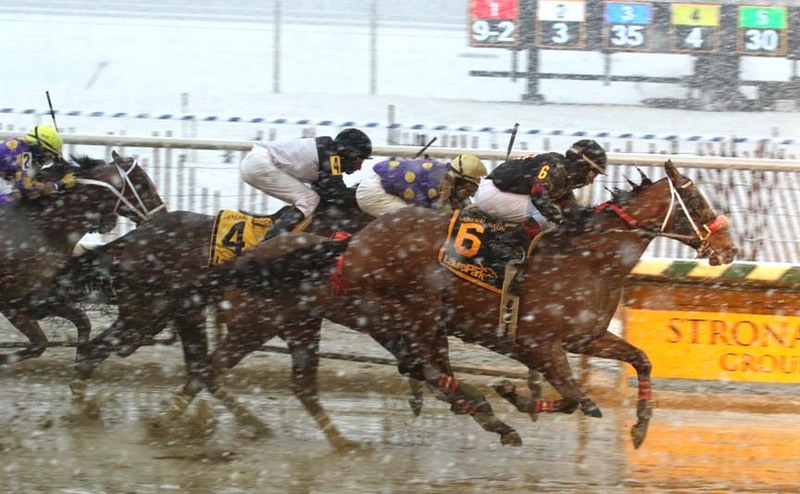 It was the first graded stakes win in Corrales’ training career, and as the snow blanketed the central Maryland track, he gestured to the sky.